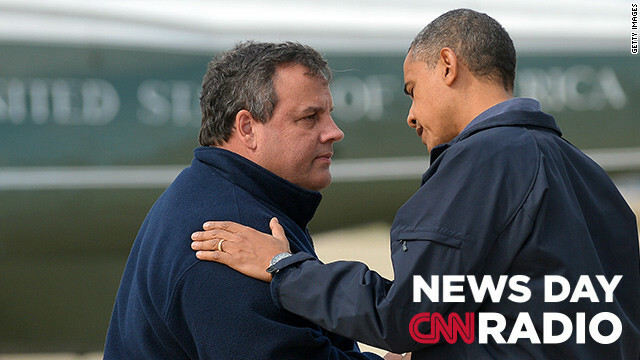 President Barack Obama is greeted by New Jersey Governor Chris Christie in Atlantic City, NJ on October 31, 2012. “We're at ground zero. It's not gonna ever be the same. It'll never be that old Seaside Heights it's all going to be different... We lost two piers. They're in – they're in the ocean." " The Iranians have been trying to get arms from Libya to Gaza. They're getting arms via Sudan to Gaza." "There's already a holiday based entirely around knocking on your neighbor's door. And when does Halloween happen to fall? Right before elections every year." What??? No responses again? I just downloaded this on to my Amazon Kindle Fire Tablet and it is awesome. It is there now whenever I want just like my music under my music tab.